Is it time to replace the bumper cover on your Ford Focus? Or does it just need to be repaired? Here’s how to tell. Often times, a Focus owner with a damaged bumper cover wants to repair or replace it for cosmetic reasons. It’s a completely valid reason – after all, who wants to drive around in an awesome Ford Focus with a cracked, dented, or scratched up bumper cover? Talk about a damper on your ride. However, there’s an even better reason to tend to your damaged bumper cover as soon as possible: structural integrity. When your bumper cover’s structural integrity is compromised, it won’t provide adequate protection in a car crash. Your bumper cover and the impact bar behind it are designed to absorb as much impact as possible. When there’s structural damage to your bumper cover or the impact bar, it’s no longer sporting the optimal design to absorb maximum impact. A damaged bumper cover that is no longer able to protect you in a crash is pretty much useless. Repairing it won’t restore its structural integrity, so the best thing to do is to replace it. Cracks: While cracks may not seem like a big deal, they still ruin your bumper cover’s ability to absorb impacts. Also, cracks usually get bigger and allow dirt and moisture behind the cover, which will rust out the impact bar. Broken tabs or clips: If you look behind your bumper cover, you’ll see tabs and clips holding it onto the impact bar. If any of these tabs or clips are broken, the bumper cover is loose and it may eventually fall off your car. Unfortunately, the only solution is to replace your bumper cover. 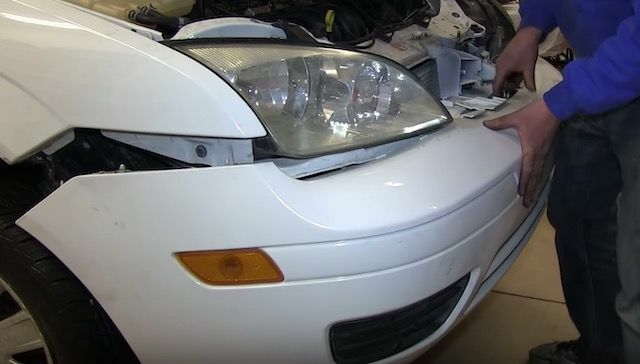 If your Focus bumper cover’s structure still looks intact, you can get away with just repairing it. However, keep in mind that the bumper cover might not end up looking that great. If you fill in the scratches and then repaint your bumper, the paint might look a bit off or there might still be dents or bumps in the area of the damage. If you’re looking for a flawless appearance, then replacing the bumper cover is your best bet. 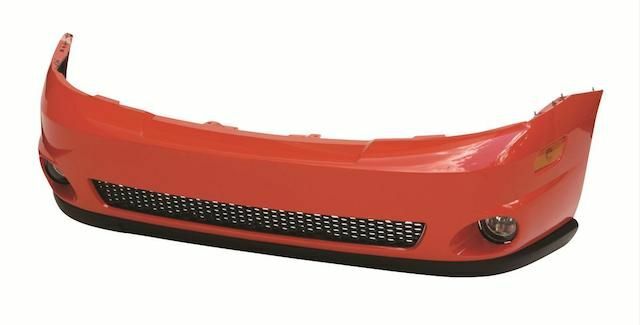 The first option – getting an OEM replacement bumper cover – is the best one. This article offers extensive coverage on each option and explains why OEM is the choice to make.